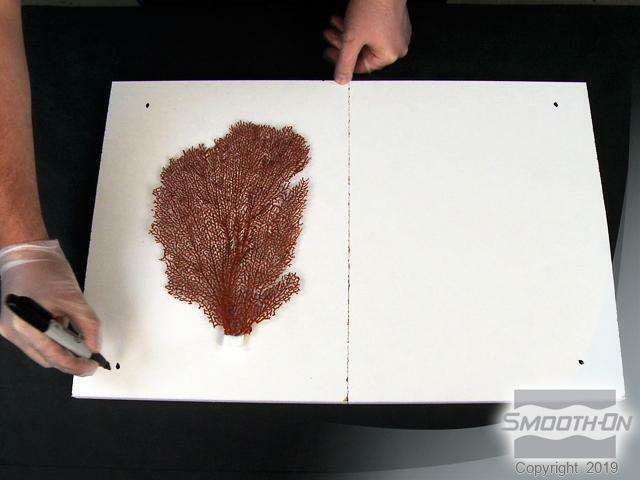 In reproducing aquatic models, there is no bigger challenge than making a mold of a delicate sea fan. At every turn, what you risk is breaking the delicate model. 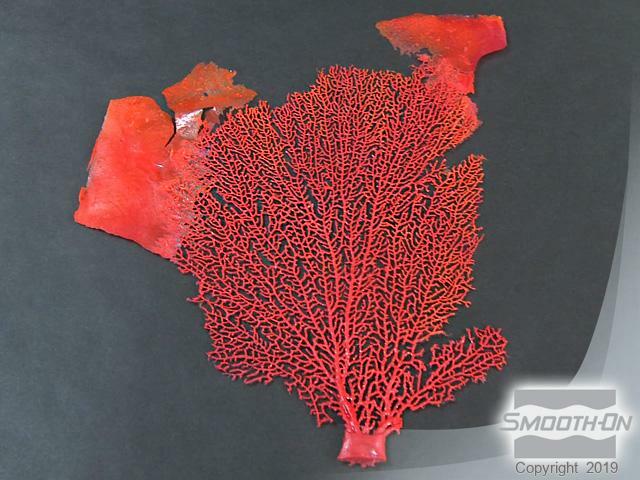 Smooth-On has a unique molding method that will let you capture all of the intricate detail of a sea fan using Equinox™ Mold Putty and then make an exact copy using Smooth-Cast™ 60D durable plastic that will mimic a live sea fan in your aquarium. 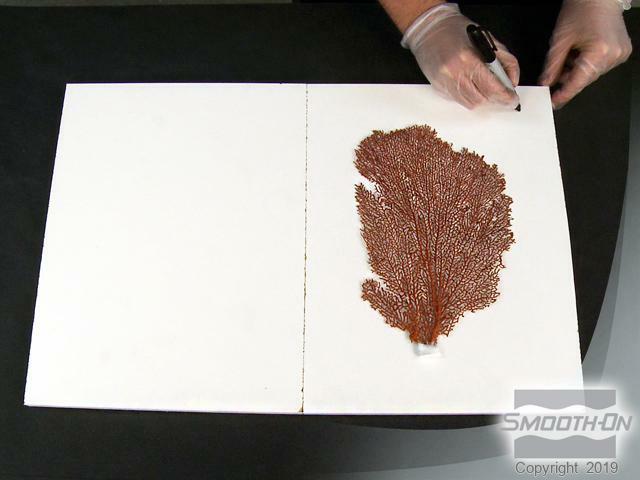 The original model is a dried sea fan with delicate, intricate detail. It measures approximately 11'' H x 7'' D (27.94 cm H x 17.78 cm D). 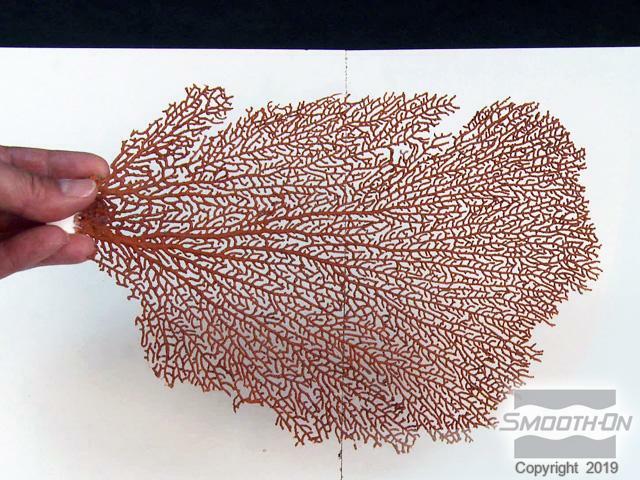 The side view of the dried sea fan model is approximately 0.04'' (1 mm) in thickness - very thin and delicate. Two rigid boards of equal size are placed side-by-side so they form 1 board. The boards will be used as a working surface and to create a rubber hinged mold. Center the fan model on the right half of the board and draw 2 dots on the outer top and bottom corners of the boards to designate the outer perimeter of the rubber mold. Re-center your model on the left half of the board and draw 2 additional perimeter dots on the outer top and bottom. 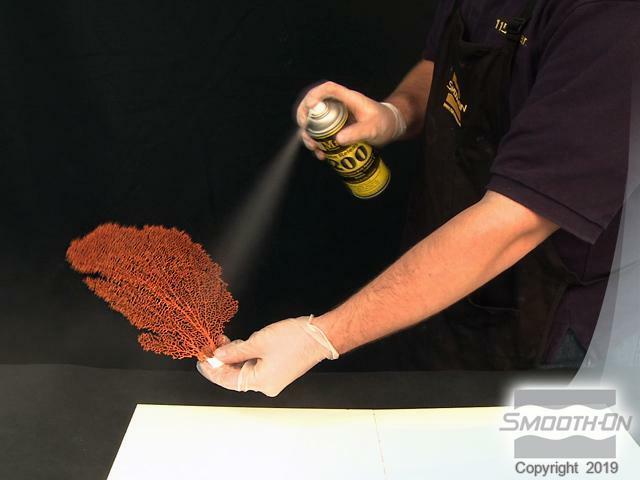 Because the sea fan has such fine, intricate detail, Ease Release 200 spray release is applied to both sides until all detail is covered. This will ensure that the rubber mold releases easily from the sea fan. Cover the boards with wax paper. This will make the silicone putty easier to handle. 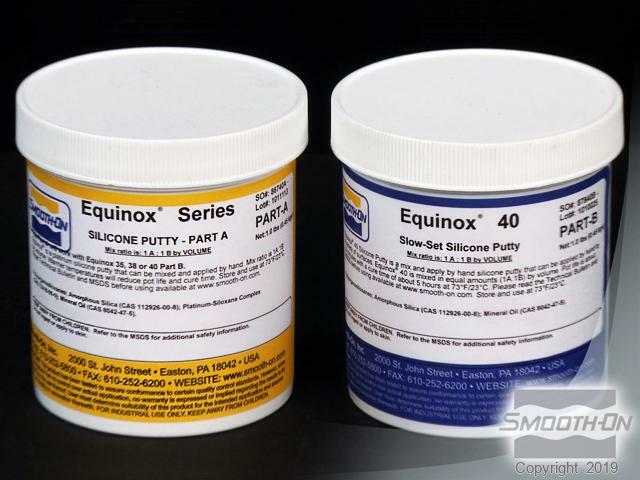 Equinox™ 40 silicone mold putty is used to create the mold. It has a mix ratio of 1 part A to 1 part B by volume. Two separate medium-sized batches of equal volume will be combined together and spread out as one sheet over the base boards. Now, dispense part A then dispense equal parts B. Mix part A and part B together. Equinox™ 40 has a pot life of 30 minutes. Continue mixing until there are no color streaks. Once the first batch is completely mixed, place it in a clean container on the side. Then mix a second identical batch. 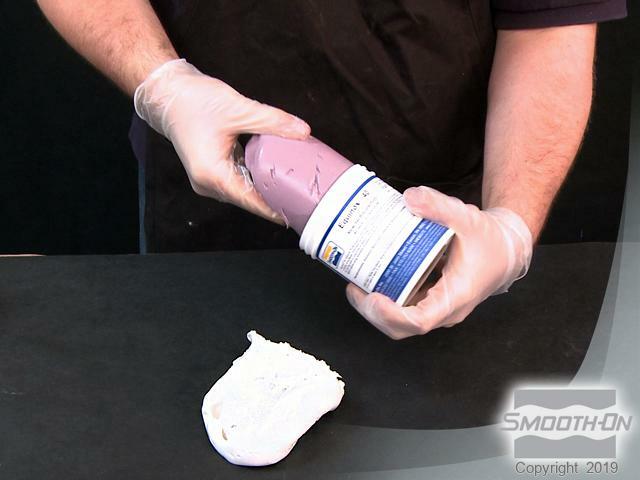 Place the 2 batches of putty that were mixed separately together on your base board. Both batches of putty are ready to be combined. 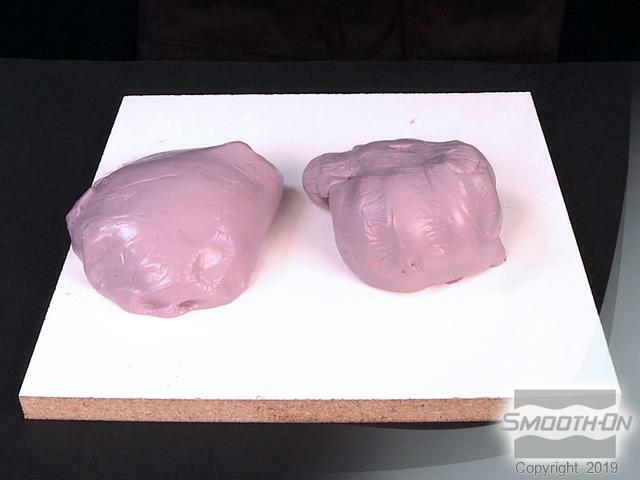 Combine both batches of putty into one larger portion. Knead the putty on the base board until both batches are blended together. Starting from the center, apply downward pressure and spread the putty out towards the outer edges of the board using the perimeter dots previously drawn as a guide. 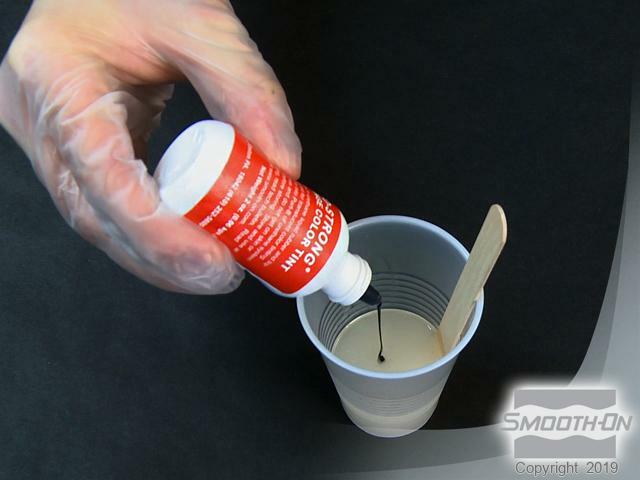 The goal is to make the silicone putty sheet a uniform thickness of approximately 0.5'' (1 cm). 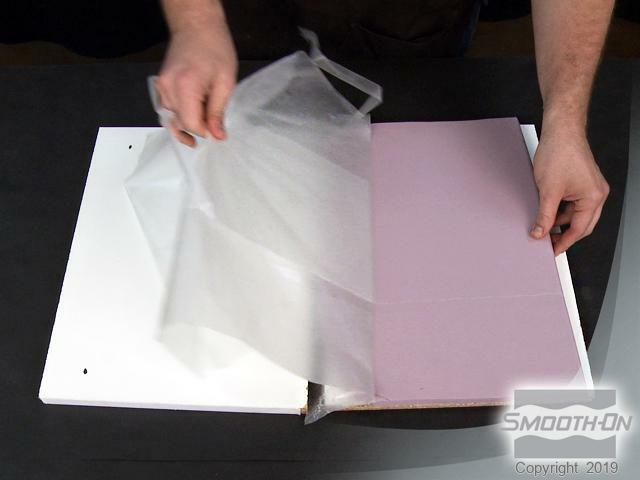 Mold putty is spread out evenly onto wax paper-covered board. 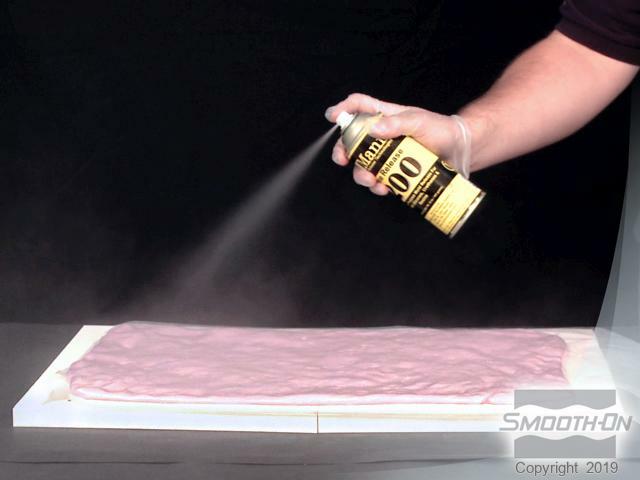 Spray Ease Release 200 release agent on the entire surface of the mold rubber to prevent it from sticking to itself. 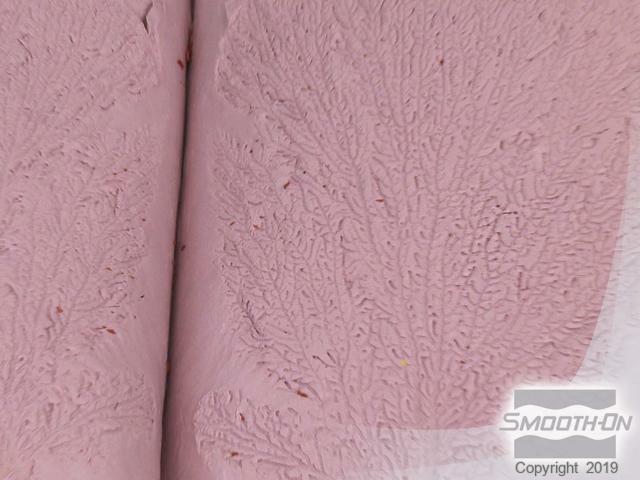 Position your original sea fan on the right half of the mold putty. Press down gently but firmly so the fan is halfway embedded into the mold rubber. 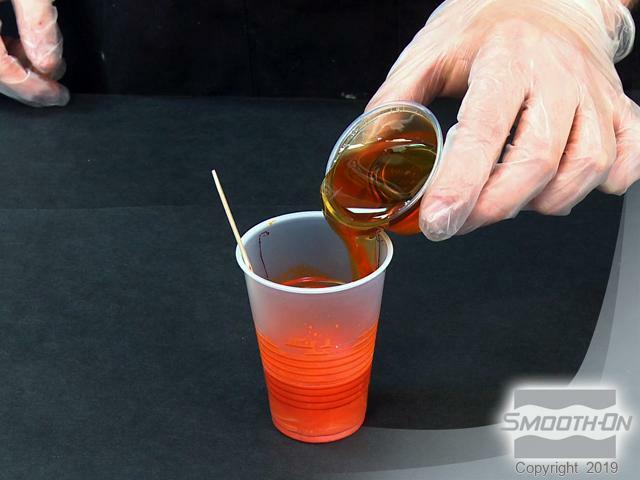 Fold the mold rubber as perfectly in half as you can, using the wax paper to assist you. 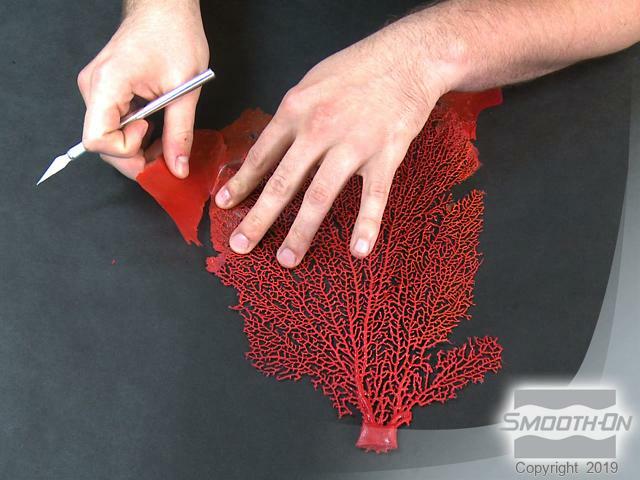 Your goal is to gently encapsulate the sea fan model between the folded sheet of mold rubber. Even out the center seam by pressing gently. Do not disturb the original inside. 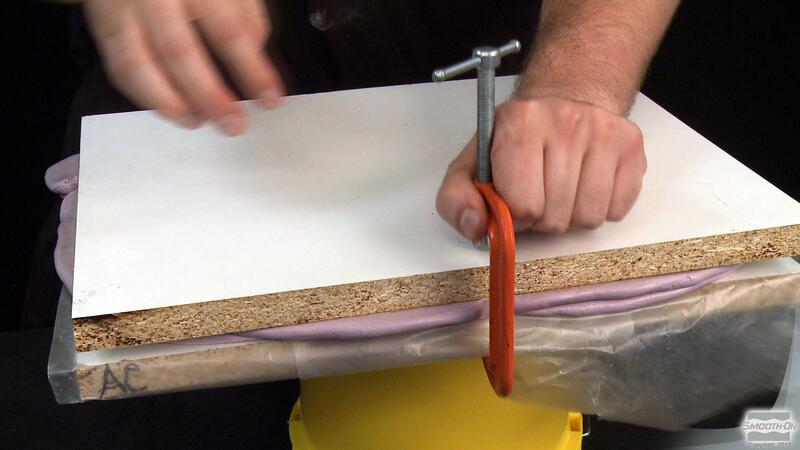 Leave the folded rubber mold on half the base board and elevate it high enough to be clamped at each corner. Using C-clamps, position a clamp at three equidistant points on the sandwiched boards, but do not tighten at this point. Tighten each clamp equally until uniform pressure is attained over the entire surface. Let Equinox 40 mold rubber cure for at least 5 hours. Place the structure on the table and open the boards, exposing the rubber hinge mold. 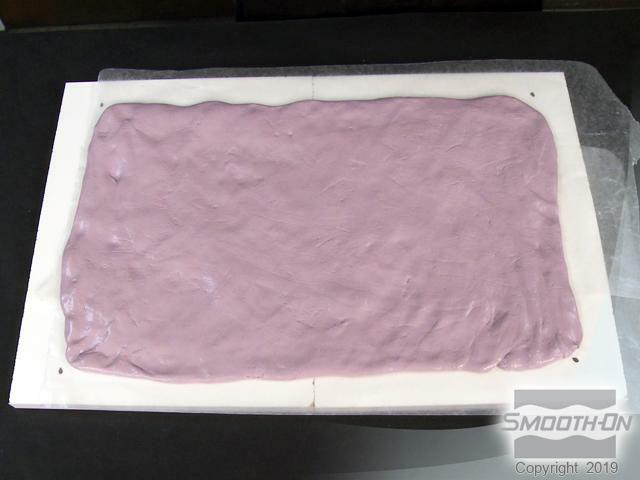 Remove wax paper from outside of rubber mold. Beginning at the outer edges, slowly peel back and separate the halves of the hinged rubber mold. Once the two halves are fully separated, the rubber mold reveals perfect detail captured from the delicate sea fan original. Close-up view of the mold detail. 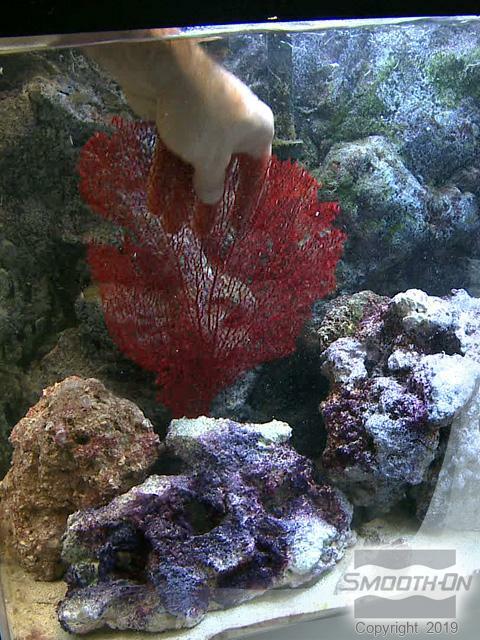 Some remnants of the sea fan that remain are easily removed. 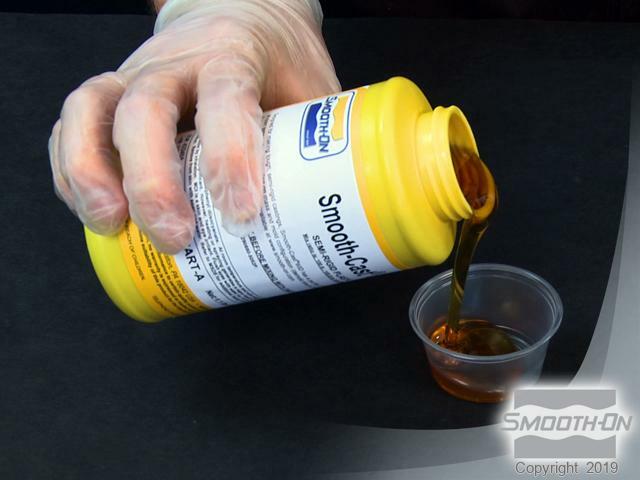 Smooth-Cast™ 60D semi-rigid urethane resin is used to make the casting. It has a mix ratio of 1 part A to 1 part B by volume. Dispense part A and then dispense an equal amount of part B. 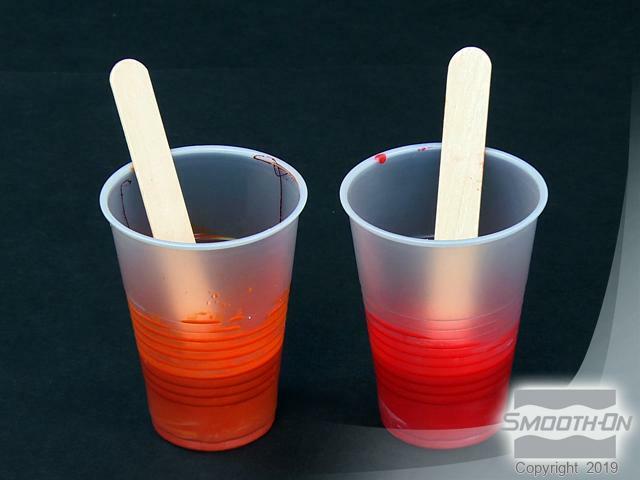 To make the casting use 2 separate but equal batches that are pigmented different colors. They will then be combined when poured into the mold separately. 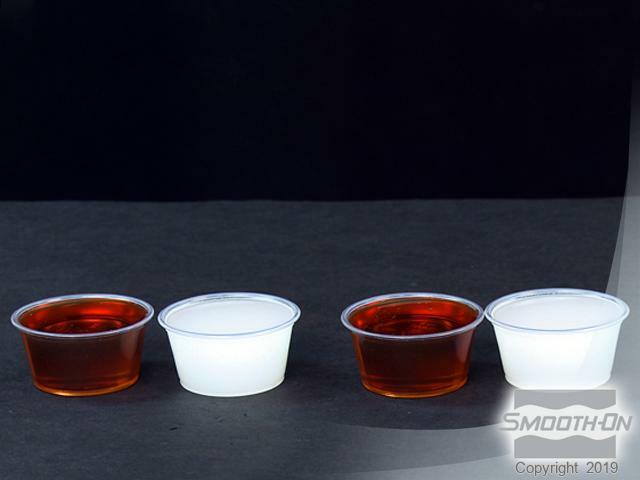 SO-Strong urethane color tints are used to pigment the resin. These are ultra-concentrated, so a little goes a long way. Transfer part B into a larger mixing container, for batch 1. Add SO-Strong red color tint. Mix red into part B resin thoroughly. 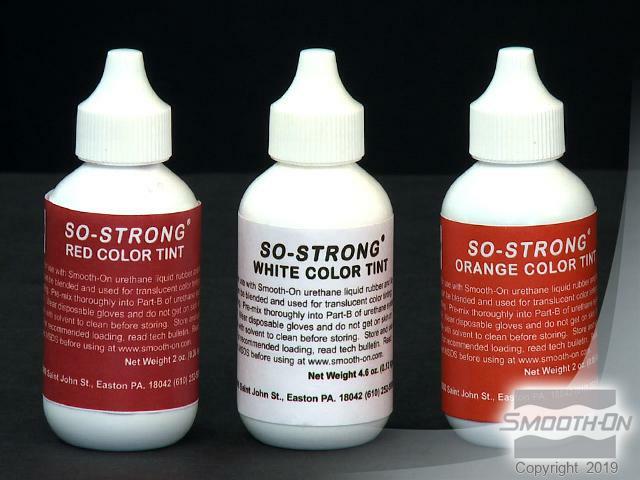 Add SO-Strong white to the pre-mixed red. Stir red/white mixture until thoroughly blended. Set aside. Transfer part B into a larger mixing container, for batch 2. Add SO-Strong orange color tint. Mix orange into part B resin thoroughly. Add SO-Strong white to the pre-mixed orange. Stir orange/white mixture until thoroughly blended. Set aside. Pour part A into the pre-mixed part B (red/white) and mix thoroughly. This is a fast set resin, so you need to work quickly. Pour part A into the pre-mixed part B (red/white) and mix thoroughly. Elevate your base board and mold. 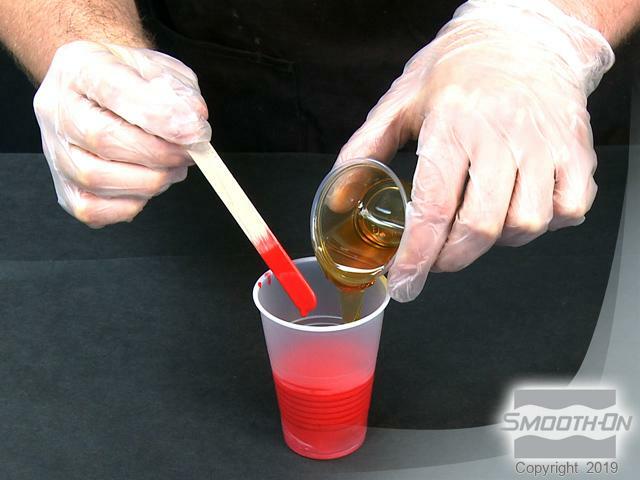 Pour the red resin mixture into the mold on both sides. Pour part A into the pre-mixed part B (orange/white) and mix thoroughly. Close the mold slowly, allowing the resin to flow into network of veins in the mold. 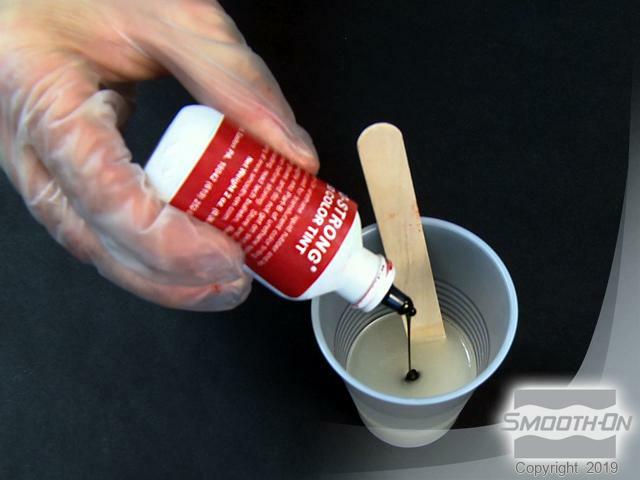 Press and smooth the mold rubber to evenly distribute the resin. 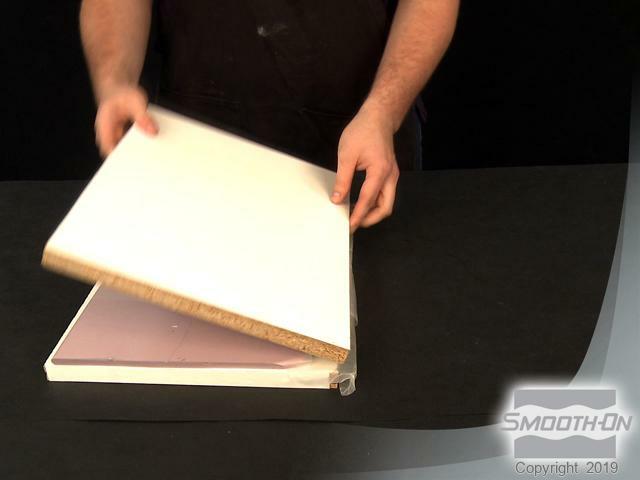 Replace the top board over the mold and press firmly. 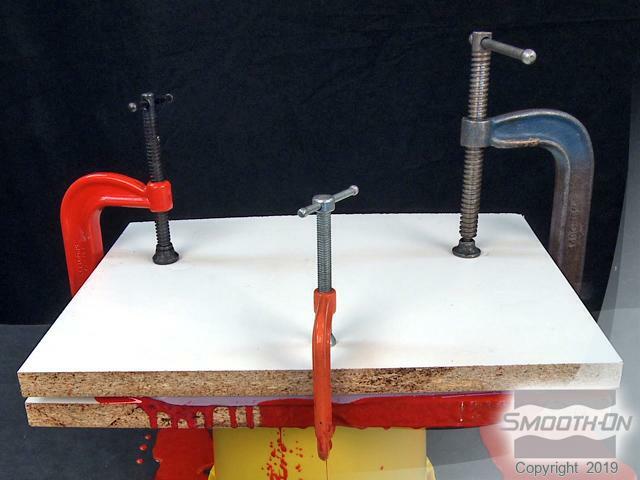 Use C-clamps to secure and tighten the mold. All 3 clamps have been tightened. 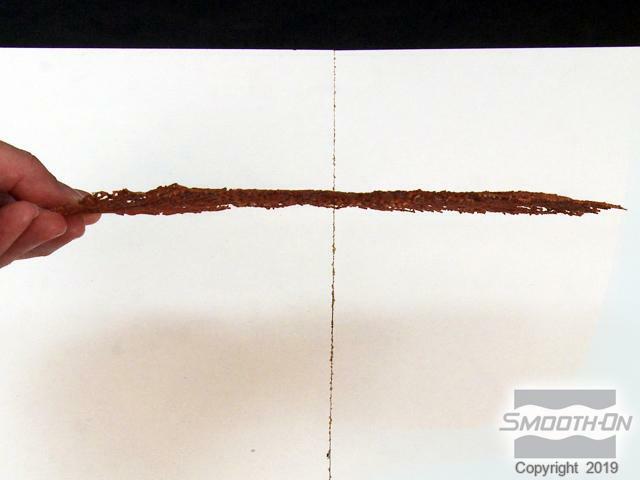 Since this is a low-mass casting with thin veins, allow the resin to cure for at least 1 hour. 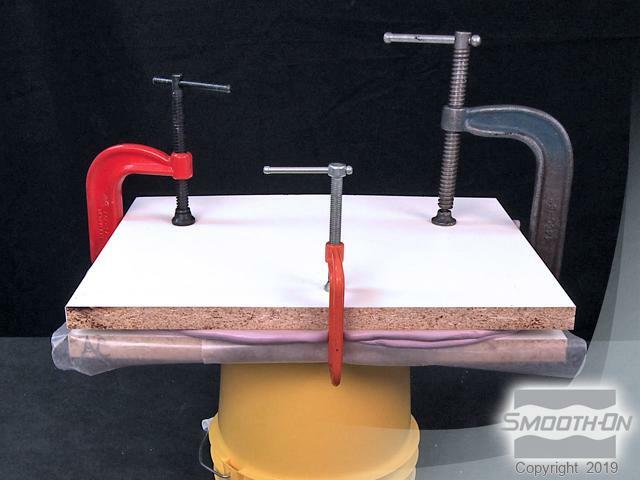 Once fully cured, remove clamps and move entire structure to a flat surface. 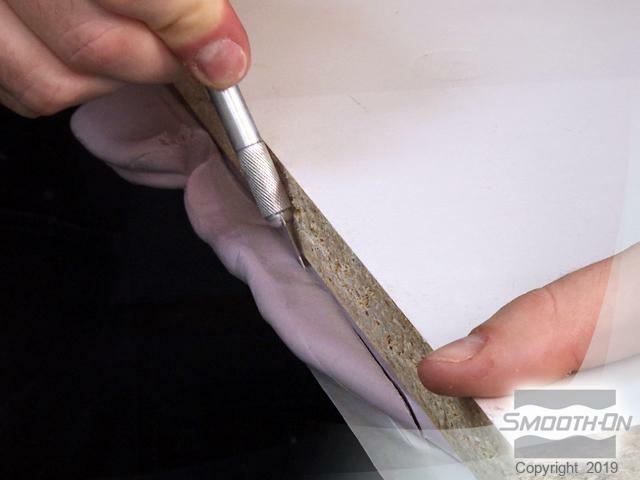 Remove top board and slowly peel back the mold rubber from the casting. Gently lift the casting out of the mold. 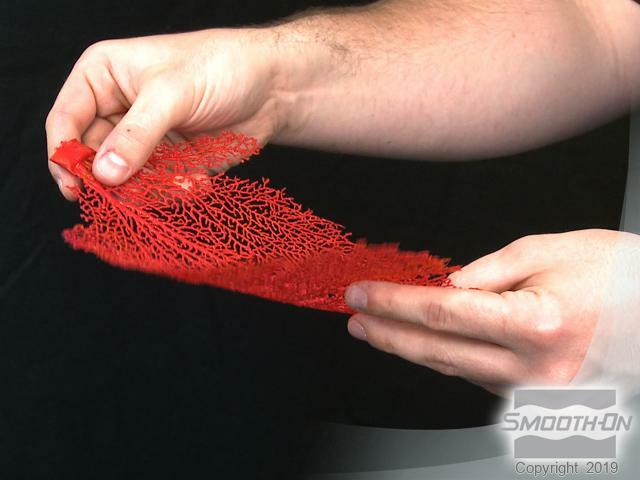 Demolded sea fan casting with flashing still attached. Clean up the casting by trimming any excess flashing from the casting. 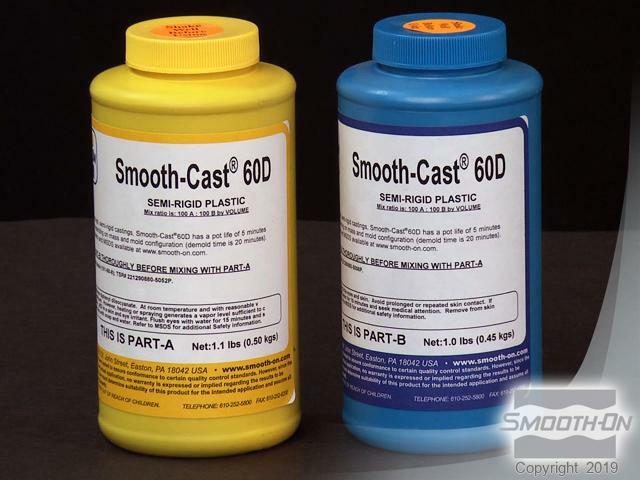 Smooth-Cast 65D is a semi-rigid resin, affording the perfect amount of strength and flexibility for this type of casting. 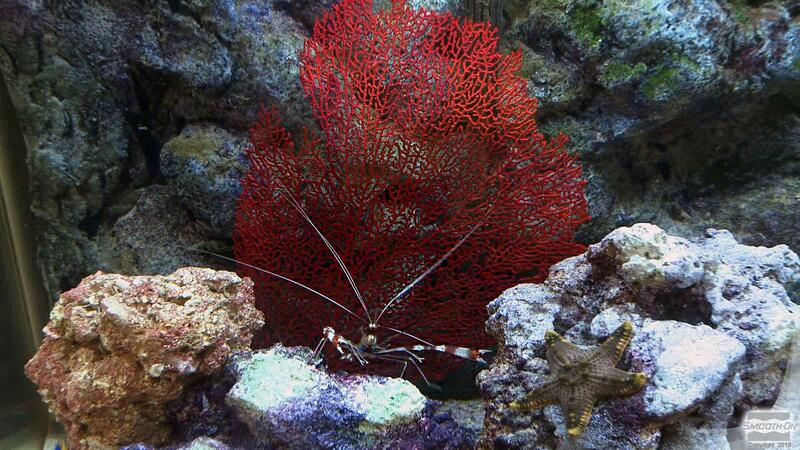 When placing the sea fan casting into the aquarium, sea creatures like live shrimp are not harmed by the plastic sea fan. 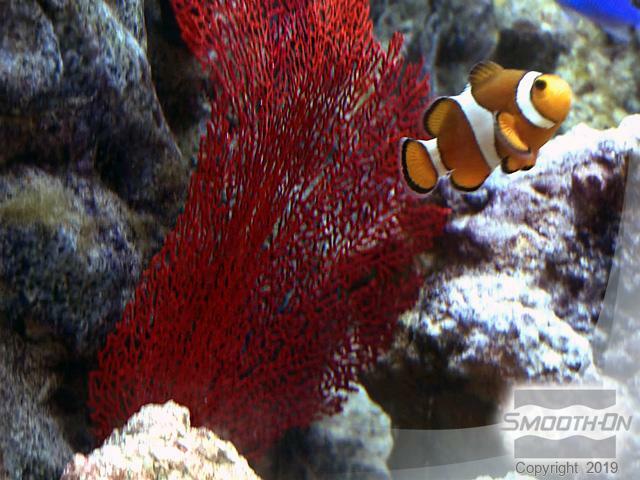 The semi-rigid sea fan waves as naturally as a real sea fan in the current. 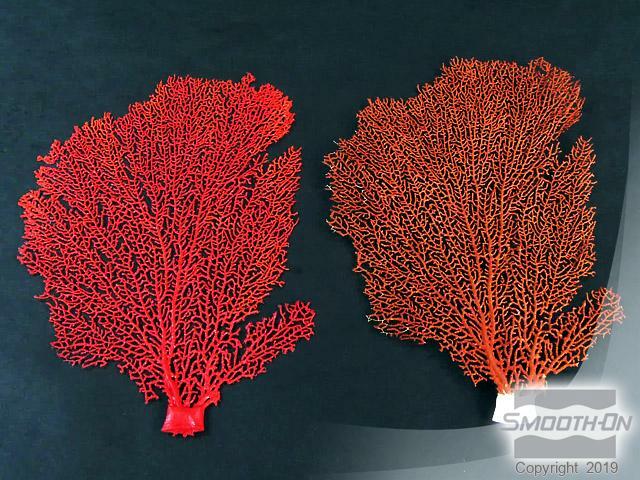 You can not tell the difference, and the 60D sea fan will last for years. Smooth-Cast 60D is aquarium safe.